Version 1.4 for iOS coming soon – Zombies, Run! Hello, my name is Jem Alexander. I’m your dedicated community guy, in charge of looking after all you lovely runners. 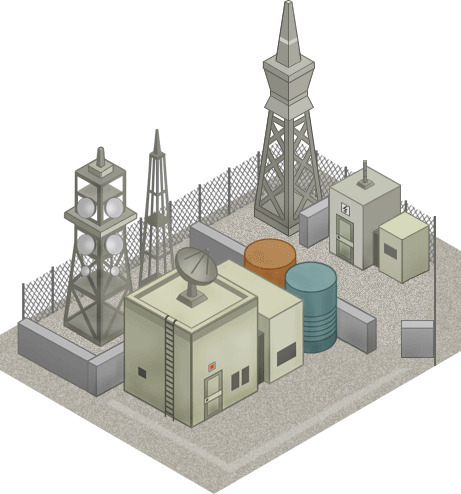 I’ll be making sure you’re all kept in the loop with our latest developments and updates to the Zombies, Run! app as we move towards season 2. I’m happy that my first blog post includes such great news as this: new content and features are coming to the iOS app soon! 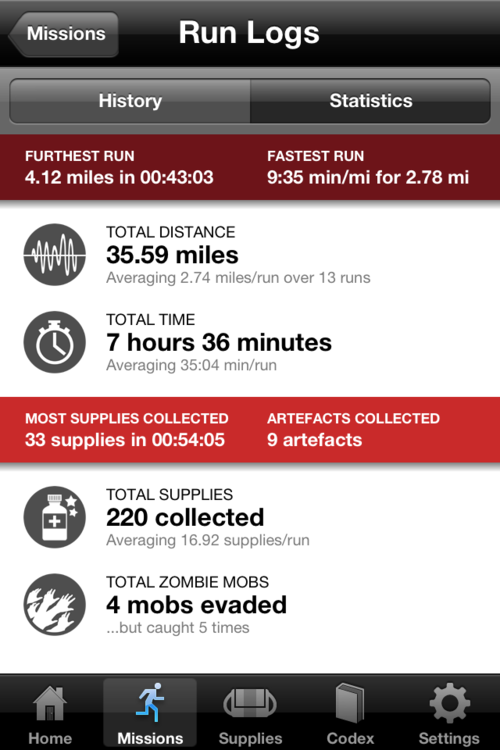 It’s been a couple of months since we last updated the iOS version of Zombies, Run! and you’ve all been very patient (well, semi-patient at least!) as we worked on a batch of new features and content for you. We’re pleased to say that version 1.4 will be released soon and includes a few oft-requested features, such as the ability to further upgrade your township and audio notifications so you can keep track of your distance and time spent running without fumbling for your phone. Fans of Jack and Eugene (we know there are lots of you!) will be happy to hear to that version 1.4 also includes a bunch of new Abel Radio recordings, including some changes to the normal format. We won’t spoil the surprise, but we’re eager to hear what you think once you’ve listened to the new content, so let us know! Want to jump straight into Radio Abel at the start of a run? We’ve added that option too. We’ve also added some overall statistics so that you can see your total running distance, total running time, fastest speed and other such data. Other little updates and improvements include better VoiceOver support for visually-impaired users in the tutorial section, and the ability to check the strength of your GPS tracking before you run. Accidentally replaying clips while running is now harder and we’ve made some improvements to the ZombieLink synchronisation and with the in-app tweeting service. 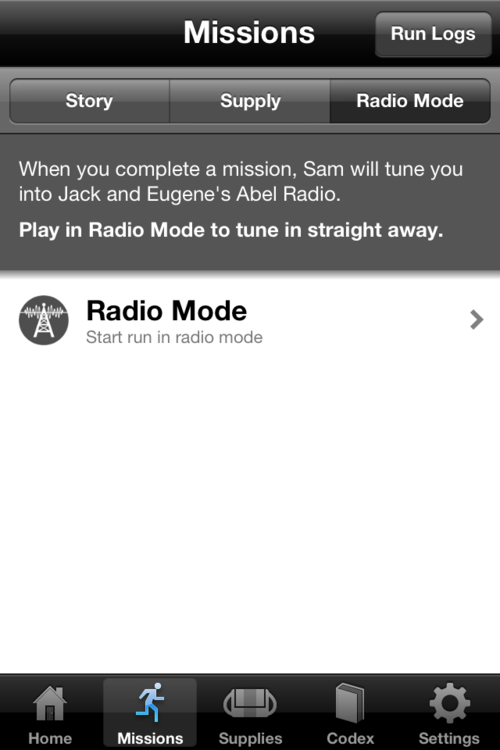 – Lots more Abel Radio! We’re hard at work on Season 2, but we’ve also got lots of other exciting new content coming between now and then, so keep an eye out for more news in the coming weeks. Previous Post 40% off T-shirts & WICKING SHIRTS! Next Post Zombies, Run! version 1.4 for iOS now available!